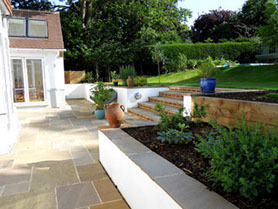 At Precise Construction Ltd, we have the skills, the experience and the expertise to carry out groundwork and landscaping services in Dorking, Reigate and all parts of the surrounding Surrey and South East areas. 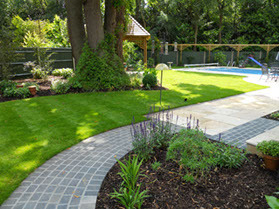 We are trusted groundwork contractors with a large portfolio of successfully completed projects. If a large commercial site is in need of comprehensive landscaping action such as bulk excavation and drainage work, we have the team to take care of it. 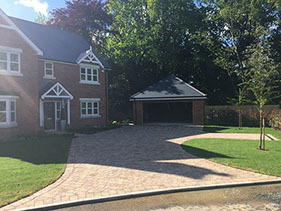 If a homeowner in Dorking or Reigate is looking for a brand new driveway or patio, our groundwork contractors can deliver high-end solutions at a competitive price. 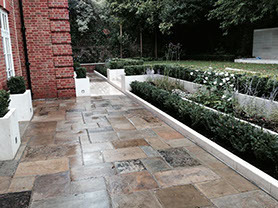 Some of the more testing and technical aspects of groundwork and landscaping projects in Reigate and Dorking require a steady and professional approach. For 15 years, we have been undertaking small and large-scale projects that leave us fully equipped to deal with the ever-changing environment that we work in. More and more projects are now being built on brownfield sites or on more testing terrains which require specialist skills. This puts our groundwork contractors in a good position to deal with the many conditions we can come up against. We can retain existing structures and enable good construction management to give all projects a firm and safe finish. Our landscaping team works closely with our in-house designers. This helps us in providing the right advice for our Dorking, Reigate and Surrey clients. Our commercial landscaping services, in particular, are highly sought-after. From retail and leisure companies to domestic properties throughout the South East, our groundwork contractors provide a complete design-and-build service that covers all hard and soft landscaping requirements. Our award-winning director, Adam Potter, oversees all of our projects personally and his eye for detail sets us apart from the competition. Our groundwork contractors and our landscaping team cover Dorking and Reigate as CSCS safety-trained professionals who are also qualified to NVQ level 2 in Groundwork (Blue Card). Our machine operators are CPCS qualified. Please contact us today and one of our office team will be on hand to help with your enquiry.